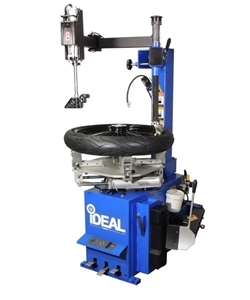 The iDEAL motorcycle tire changer is specifically designed for changing motorcycle and ATV tires with an outside clamping range of 6” – 24”. 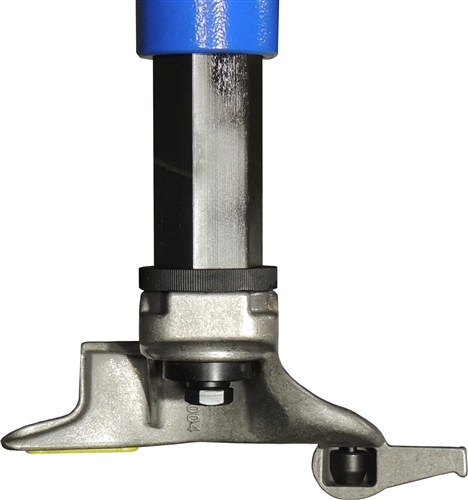 The design includes raised clamps to allow for clamping of most motorcycle wheels with disc brakes and drive components still installed. 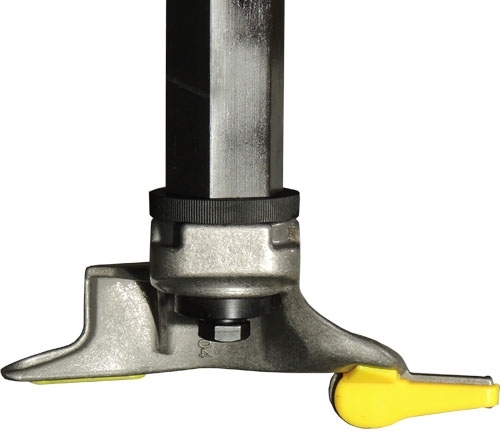 Our clamp is designed to limit damage to the clamped wheel as all touch points are plastic. In addition we provide both an ATV (smaller) and motorcycle (larger) demount head that includes plastic protection to wheels. 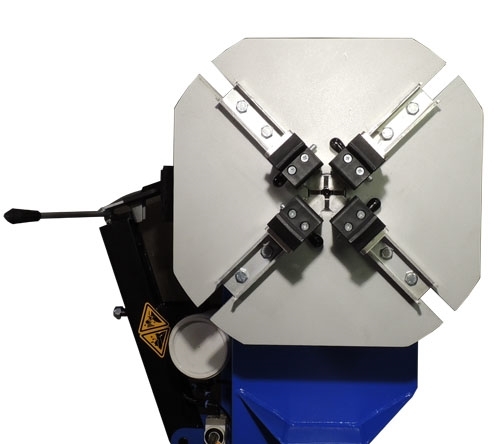 The design includes a powerful bead breaker and a hand held inflation gun..
Outside Clamping Range 6" - 24"
iDeal offers a limited one-year warranty to the original purchaser of wheel service equipment in the United States and Canada. 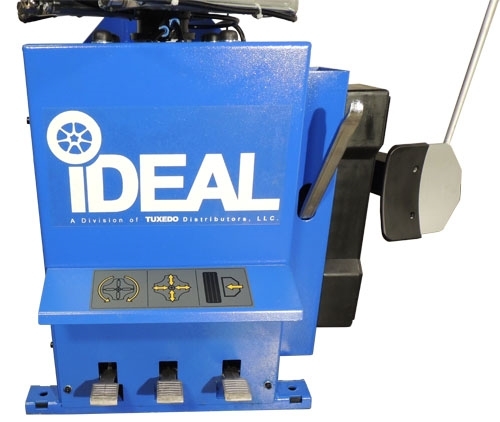 iDeal will replace, without charge, any part found defective in materials or workmanship under normal use, for a period of one year after purchase. The purchaser is responsible for all shipping charges. This warranty does not apply to equipment that has been improperly installed or altered or that has not been operated or maintained according to specifications. Upon delivery of goods, the Customer has sole responsibility to notify Best Buy Auto Equipment of missing parts or concealed damage within 72 hours of receipt. If no notification of missing parts or of concealed damage is made, all parts will be purchased after 72 hours has passed. The customer is required to notify Best Buy Auto Equipment of any missing parts within 72 hours. Timely notification must be received to be covered under warranty. iDeal will replace any defective part under warranty at no charge as soon as such parts become available from the manufacturer. No guarantee is given as to the immediate availability of replacement parts. iDeal reserves the right to make improvements and/or design changes to its without any obligation to previously sold, assembled or fabricated equipment. There is no other express warranty on the Nationwide wheel service equipment and this warranty is exclusive of and in lieu of all other warranties, expressed or implied, including all warranties of merchantability and fitness for a particular purpose. To the fullest extent allowed by law, iDeal shall not be liable for loss of use, cost of cover, lost profits, inconvenience, lost time, commercial loss or other incidental or consequential damages.